Why take your assets offshore with an international structure? Simple. It can make your assets virtually invulnerable to civil judgments. It can also protect you from risks such as civil forfeiture, exchange controls, repressive legislation, or political instability. It’s more difficult for creditors to collect against international assets. No country automatically enforces U.S. civil judgments. Many countries don’t enforce them at all. If you live in the States, a U.S. court can order you to repatriate your international assets. But if you’ve set up your structure properly, you won’t have the power to bring the funds back. And that’s a fantastic incentive for a creditor to settle the lawsuit. The first step in making your assets bulletproof is to secure your domestic assets. For instance, homestead laws in your state may protect the equity in your personal residence. You can use a domestic limited liability company (LLC) to isolate risks. And you can contribute to IRAs or other pension and retirement plans; federal law protects the value of assets in these plans from creditors. But strict limitations exist in state and federal law protections for domestic assets. For instance, not all states have homestead laws. In states that do have such laws, the limits are very low—just a few thousand dollars. And the only way that your IRA is protected under federal law is if you declare bankruptcy. Most—but not all—states protect IRAs outside bankruptcy. If you live in a state that doesn’t, then you could have a problem. 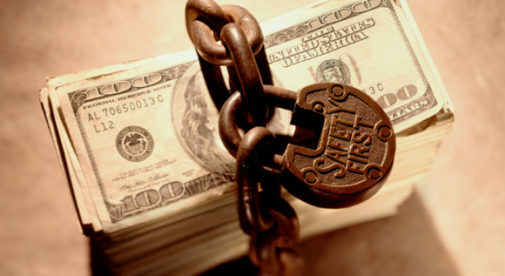 The best-known is probably the International Asset Protection Trust (IAPT). When properly set up, it’s a terrific asset protection tool. Because it’s so effective, most disputes involving IAPTs are settled out of court, without ever reaching a judge. Creditors realize that judgments against IAPTs simply aren’t collectable. Lawyers won’t waste time pursuing someone who is essentially judgment proof. An IAPT is a sophisticated asset protection structure that requires a great deal of customization to be used for its best effect. That’s best done by a qualified specialist in international tax and wealth preservation planning. The cost to set up an IAPT starts at around $10,000, with ongoing maintenance, tax and reporting obligations starting at around $8,000 annually. A great alternative to the IAPT is an International Limited Liability Company (ILLC). These are less expensive to create and maintain than IAPTs. And if they’re put together correctly, they offer outstanding asset protection. An ILLC costs $2,000 to set up, including an operating agreement optimized for asset protection and a consultation with a qualified specialist to show you how to use it effectively. Annual renewal costs for an ILLC, along with tax and reporting obligations, start at around $2,000. Whether you choose an IAPT or ILLC, you can rest easy, knowing that your assets are out of harm’s way. For long-term “peace of mind,” there’s simply no better way to secure your wealth.